My wardrobe was getting a bit out of hand. In fact, that’s an understatement. It was completely out of control. I had – and still have – clothes hanging from every door frame, on the inside and outside of all my wardrobes, they’re even swinging from picture frames. Enough was enough and this weekend I decided to finally do something about it. I should probably start by saying that in actual fact, I have two wardrobes. One in the bedroom, that I share with Al, that houses all of my dresses. These are separated by day and night and then organised by sleeve length. Yes I really am that OCD about it, and it gets worse the further you read down this post. My wardrobes are probably the only thing that I do like to organise. Anyway, my second wardrobe houses the majority of my clothes. I’m talking coats, tops, jumpers, skirts and trousers. Plus, the majority of my shoes, which have also seen a cull recently. As I was clearing it out I figured I’d share the rules I followed to get my wardrobe back to its OCD best. Ask yourself when the last time was that you wore each item. Does it go with anything else in your wardrobe? Are you likely to wear it again? If the answer is no, get rid of it. I’ve found that my friends are more than willing to take these items off my hands. Hang clothes in groups so you can see exactly what you’ve got. I start mine with coats, to jackets, blazers, jumpers, shirts, long sleeve, short sleeve, camis, shorts, skirts, jeans, and end with trousers. This way, if I pull out a skirt and know I want to wear a shirt with it, I can go straight to that section and find the one I want. I, for one, hate a jumble sale and would not want my wardrobe to resemble one. My OCD tendencies go one step further here. Not only are my tops organised by sleeve length and style, I also line them up by colour. Anything to make getting dressed that little bit easier. Face all of your hangers, and clothes, in the same direction for ease. Similar to the point above, this allows you to quickly glance over everything you own, making it easy to decide what to pull out. Any item that can withstand creasing, fold and store in drawers or in my case, drawers and extra storage boxes kept under the bed. Now the weather has started getting a little brighter, I’ve made the bold decision to pack up all my heavy jumpers and store them until Autumn comes back round. This gives extra space for any new items you might have picked up along the way. And there you have it. 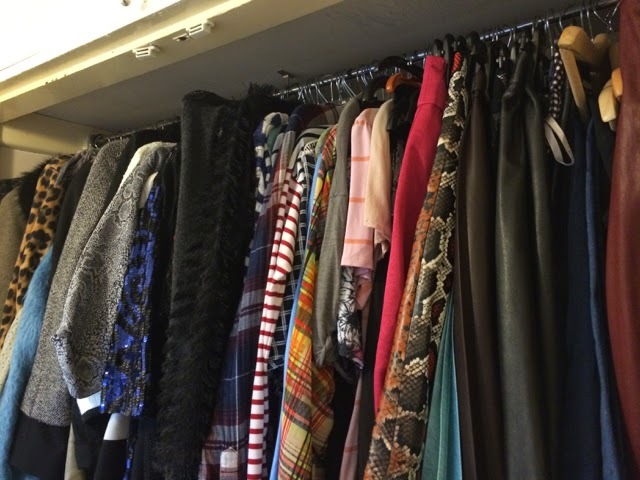 The OCD rules for an organised wardrobe and harmonious dressing experience. Don’t ever say I don’t give anything back. I should also state that I too am always happy to take any unwanted items off your hands. Just so you know.